This item is currently out of stock. Would you like to check out these products instead? 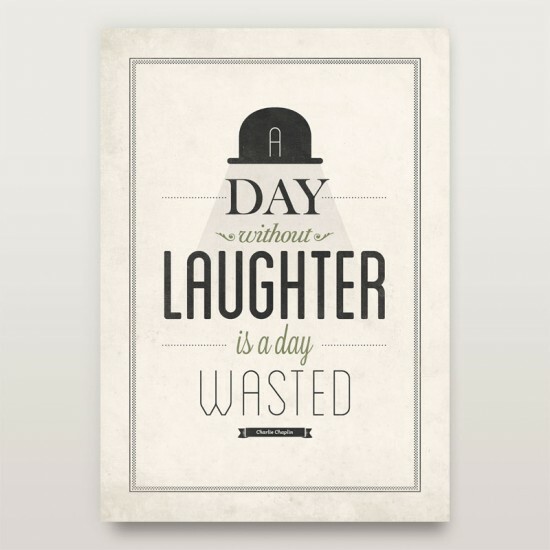 Original vintage style typography poster with inspiring quote wording by Charlie Chaplin. Display this Inspirational quote poster as a daily reminder to stay happy and smile. Tell your friends about Laughter Poster! Welcome to the store of Neue Graphic. We have 0 products on sale today.